Are you looking for gift ideas for men in NJ? Modern Propane has great gift ideas for men in NJ that we know you will love. With 2 locations and a wide variety of leading BBQ grills, BBQ grill sets, and BBQ grill accessories, we’ve got you covered. When you visit Modern Propane, our knowledgeable team will assist you in finding what you need quickly and for an affordable price. We know sometimes, it can be difficult to go out and shop for men, especially if it is some sort of gift that you are looking for that you want him to really appreciate or even show off to his friends. Men seem to have varied tastes and interest which make it rather difficult to decide on what you should get them, which is why at modern propane, we carry a wide selection of name brand grills, grill accessories, fryers, cookers, propane heaters, and much more. As we know, men can be great cooks, and often enjoy showcasing their exceptionally good culinary skills. Its men like these that appreciate the worth of a good grill or other such equipment. You can even add your own personal touch to gifts as well by getting them stamped with something personal, like a message or his name. Now you might think that this is an expensive gift idea, but you will be surprised to know that at modern propane, you can find many affordable options. When it comes to gifts for men, the ideas are unlimited, so let the professionals at modern propane help you choose a great gift, for a great price, for that great guy in your life. At Modern Propane, our professionals are specially trained to maintain high standards of quality. This means that each time you visit us for a gift idea, you'll benefit from expert levels of service every time. We have built strong professional relationships within our community because of our principles, and will assist you in the same fashion. For more information about our selection of great gift ideas for men in NJ, call Modern Propane at (973) 778-0812. 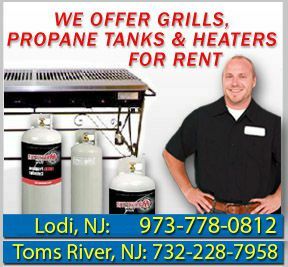 Modern Propane – Your Source for Great Gift Ideas for Men in NJ.